Below is our comprehensive guide to installing a VPN on Kodi for every compatible device from Android to Raspberry Pi. Use the table of contents on the right to skip to your section! If you’re trying to install a VPN on your Kodi and have found yourself constantly running into a brick wall, you’ve come to the right place! By installing a VPN to use alongside Kodi, you can not only unlock content from foreign countries that have been geo-blocked by streaming services such as Netflix, but you can avoid the problems faced by some Kodi users with ISPs, that are blocking access to certain Kodi add-ons, or throttling download speeds. When using a VPN with your Kodi device, your traffic will be encrypted through a secure tunnel that connects you to one of your providers’ services. This spoofs your IP, hides your identity, stops your ISP seeing what you’re doing, and makes your internet traffic look like it’s coming from somewhere else. It’s a very simple, straightforward, and quick process to install a VPN on a Kodi-enabled device. Follow this guide properly and you can get it done in as little as 10 minutes. 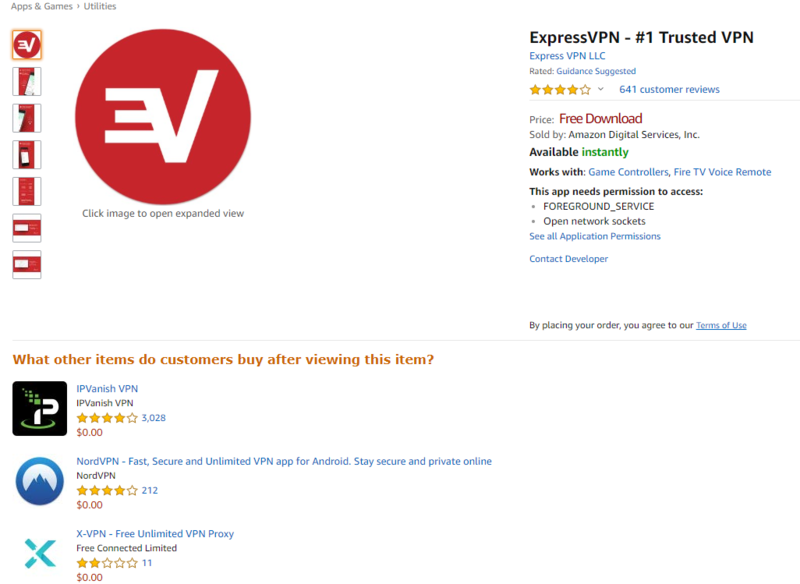 Using ExpressVPN, we’re going to show you how to install it on your Android and Amazon Fire TV Stick devices. Not using ExpressVPN? Don’t worry! Plenty of the top VPN services such as NordVPN can be used in the same way to protect your Kodi activity. Check out our VPN top list for several VPNs that can be installed on Kodi-supporting devices in a matter of minutes. Does Your VPN Support Router Installation? Before we dive in, we have a question—are you using a VPN service that can be installed on a router? If so, this is a much better option because you can encrypt all traffic that passes through your home network with a single installation. This eliminates the need to natively install your VPN software on each device. Lots of VPN services support router installation. We recommend looking into this first—check with your VPN provider to see if they support router installation and if so, consider doing that. It’ll save you some time and effort. Install Kodi by heading to the Microsoft Store or Apple store (failing these, head to Kodi’s website: https://kodi.tv/download), searching for “Kodi” and installing the Kodi app. Once you’ve chosen a VPN (see our recommended VPN choices to use with Kodi, you’ll find them near the bottom of this article), purchase a subscription. Follow the instructions to set your chosen VPN up. Enter your login details, and activate your VPN. Open Kodi, log in, and start streaming! If you’re using Kodi through an Android device, ExpressVPN has you covered with their native Android app. If you’re using iOS, Windows, macOS or any other computer/smartphone or tablet device, these steps can be used—simply swap out their native Android app for their native iOS, Windows, or macOS app. If you’re using a device that doesn’t have the Google Play Store, you can install ExpressVPN through their APK file. There are tutorials available if you don’t know how to do this. Alternatively, visit the Google Play Store link or scan the QR code, and download their Android app from there. 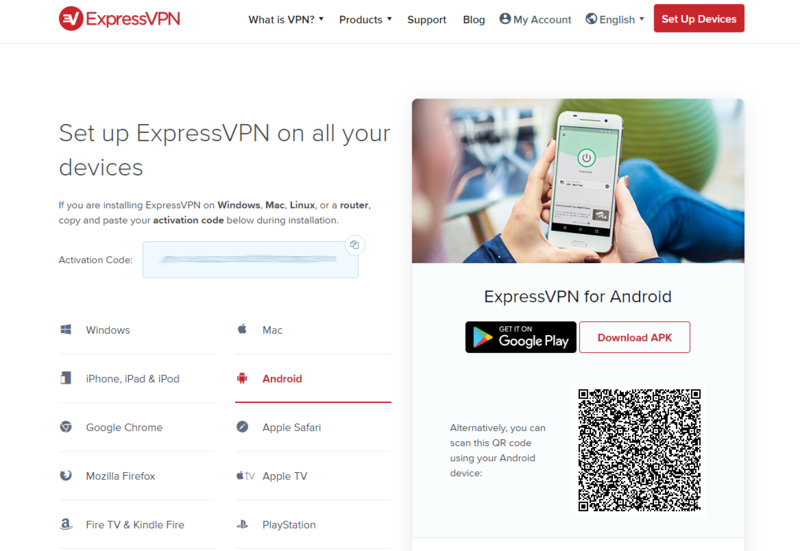 In most cases, you’ll already be signed in to ExpressVPN’s app after it has downloaded. If not, simply sign in with your details and use your activation code. Once you’re signed in and verified, simply head on over to the location picker and connect to your server of choice. You may want to double check that you’re properly connected and that your IP has changed. Because ExpressVPN encrypts all your traffic on your Android device with their native app, you can simply exit out of the app itself and open Kodi as normal. You should now be able to bypass geo-blocked content and use Kodi as you usually do, safe in the knowledge your traffic is encrypted. Download and install a program called Xcode on your Apple computer device, then open it. Plug in your iOS device. Enter a name (Kodi is a good one 😉). Enter a unique title in the “Organization Identifier Field” and continue. Pick your platform (you can choose iPhone, iPad, or generic iOS via the Universal feature). Pick the finder location for the Github repository that was downloaded earlier (iOS App Singer). Do NOT let Xcode access the contacts. When you see the “No code signing identities found” message, click “Add” and sign up using your Apple ID. Pick a development team, and proceed. Open the App Signer folder, and select the file that was saved when you unzipped it on the desktop. In the “Input” area, choose the Kodi deb file that you downloaded earlier. Proceed through the process (you’ll find the fields auto-filled as you go through), until you come to where your Apple ID appears. Enter your App ID and any other information required. Press “Start”. Save as the field when asked, and continue. Once App Signer unpacks the data, it should save. Press done when it’s complete. Launch Xcode, click the “Window” button and select your device. You’ll see your device with its details; click it and select the “Click on + sign” button found in the bottom-right corner. Select the file saved by App Signer earlier. Once open, wait until Kodi has finished installing. Last but not least, unplug your device. Kodi is done. All that’s left is to choose and subscribe to your preferred VPN! We recommend ExpressVPN, but you can find other suggestion below. Alternatively, feel free to choose your own! Install Google Cast from the Play Store. Select “Cast Video/Audio” from the main menu. Choose your Chromecast device under the “Cast To” option. 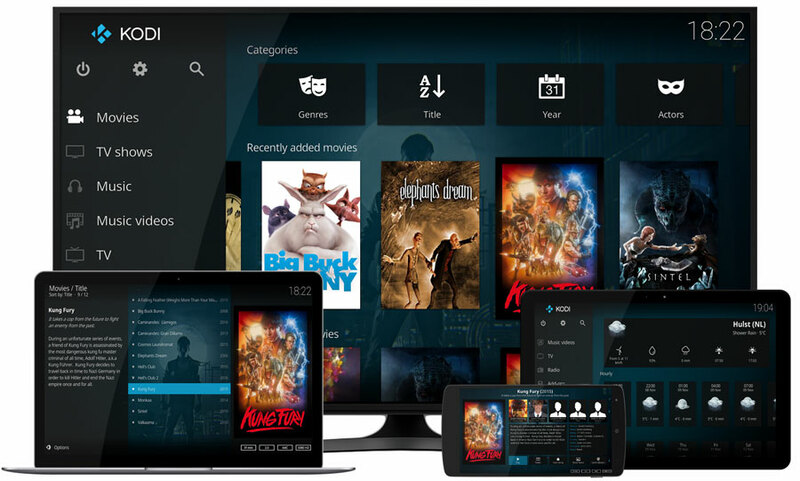 Launch Kodi on your Android device, and select the file you want to stream. You’ll see the video appear on your Chromecast-connected device! Launch the Google Play Store. Search for “Kodi”, and install. You may only use a VPN with your smart TV via a VPN-connected router. If you can do this, do so at this stage. Launch Kodi and enjoy your streamed content! Most of the top VPNs include a native app for Amazon Fire TV Stick that can be downloaded from Amazon’s own app store. You can navigate to the Amazon Appstore through your Fire TV Stick by using your remote control. As you can see, there are native apps for not only ExpressVPN but IPVanish, NordVPN, and X-VPN among others. Use the search bar to find the app for the VPN you’re using. In a matter of seconds, you can install ExpressVPN’s app for the Amazon Fire TV Stick. 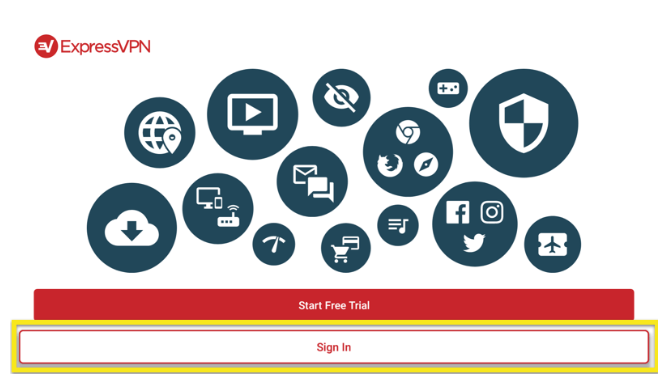 After it’s installed, all you have to do is sign in using your ExpressVPN username and password then use your activation code that can be found on the ExpressVPN setup page. Many people don’t realize just how easy it is to use a VPN with their Fire TV Stick. When you’re using a good VPN provider, it takes a matter of seconds to set up! Not bad for 10 minutes’ work, huh? Launch ExpressVPN using your Fire TV Stick remote control. 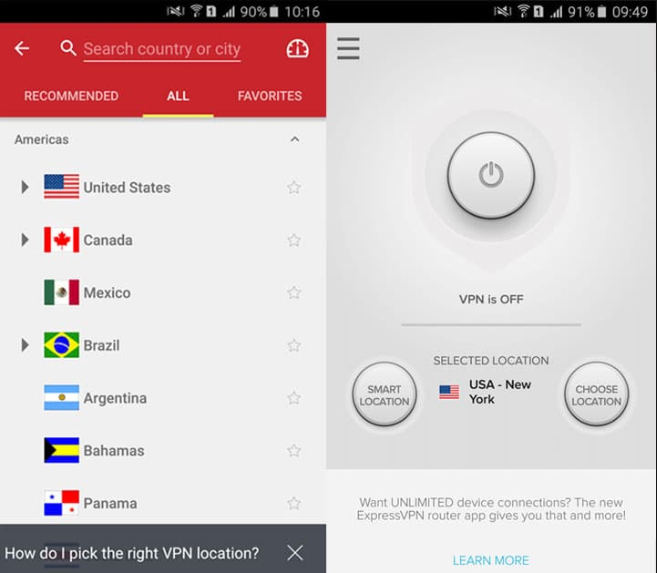 Click the ‘On’ button and ExpressVPN will choose the best location for you with their ‘Smart Location’ feature. Want to choose your location? Just use your Fire TV Stick remote control’s arrows to navigate to the location bar then click OK to open the list. Use the up and down arrows to navigate through the servers and locations, then press OK again to select one. On your PC, launch your browser, and head to the OpenELEC website. 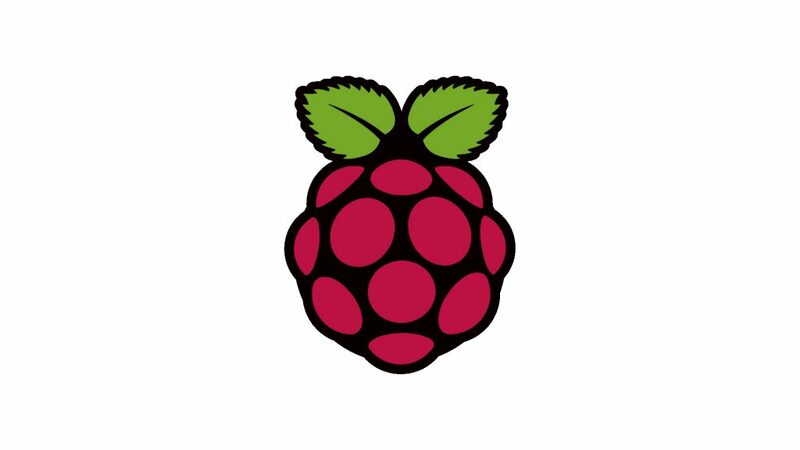 Head to the Downloads area, and scroll down to the Raspberry Pi builds. Download the Raspberry Pi First Generation build (it’ll come as a ZIP file). Extract it to a location of your choosing. Copy the extracted file to a micro-SD card. Download Rufus, an application that creates bootable USB drives. Launch Rufus, and select your micro-SD card from your devices. Select the file on the card, and click “Start”. Eject the micro-SD card and install it into your Raspberry Pi. Turn the Raspberry Pi on. It should boot into Kodi automatically. Ensure your Raspberry Pi is connected to an internet router that has a VPN installed (check out our top picks for great VPN choices). If you don’t want to use ExpressVPN, we recommend using one of these alternatives. These are by far the best VPNs for use with Kodi; they all have native apps for Android and Amazon Fire TV Stick. Also, they can all be installed on routers. With over 5,000 servers spread across 62 countries, you’ll always be able to find a server suitable for unblocking content on Netflix, Hulu, and BBC iPlayer, amongst other streaming services. Using AES 256-bit encryption alongside an OpenVPN tunnel, it’s super secure and the servers themselves are very fast. You’ll be able to stream content without experiencing buffering or other drawbacks commonly experienced with poorer-quality VPNs. 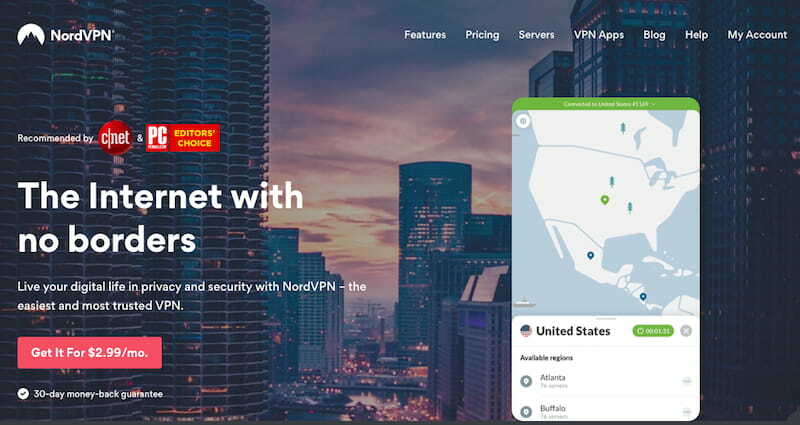 Offering a 30-day money-back guarantee, NordVPN pricing starts at $11.95 monthly—a little bit expensive when compared to other VPNs—however you can get it for as little as $2.99 per month when purchasing a 3-year subscription billed at $107.56. For Linux users, CyberGhost offers the best Kodi compatibility and they have extensive and in-depth guides on their website for help with installation and use. CyberGhost was launched in 2011 and in 7 years has grown to over 20 million users with a global network of servers and locations. For Android and Fire TV Stick users, there are native apps that can be installed through their respective stores or as an APK file in the case for Android. Netflix, BBC iPlayer, and other streaming services can be easily unblocked thanks to how CyberGhost organize and list their servers, displaying which ones unblock which services. CyberGhost offers a 14-day and 45-day money-back guarantee for their monthly and semi-annually plus plans respectively. IPVanish has some of the best stats in terms of performance and speed and proved that when we tested it out in our comprehensive review. For use with Kodi, IPVanish offers native Android, iOS, and desktop apps that can be installed and used in a matter of minutes. If you’re using Kodi through your Amazon Fire TV Stick, installation of IPVanish requires a little bit more work but it’s easy enough to do. Whilst we’re talking about Fire TV, IPVanish have designed and configured their installation for it to work seamlessly with the remote control, so many of the frustrations experienced when using other VPN services’ Fire TV apps are eliminated. IPVanish offers a 7-day money-back guarantee and pricing begins at $10 per month or $6.49 per month when billed annually. U.S.-based VPN PIA has been around for decades now and it’s one of the most trusted and respected services available. This is thanks in part to the fact that PIA won two court cases where authorities were trying to compel the company to hand over information. 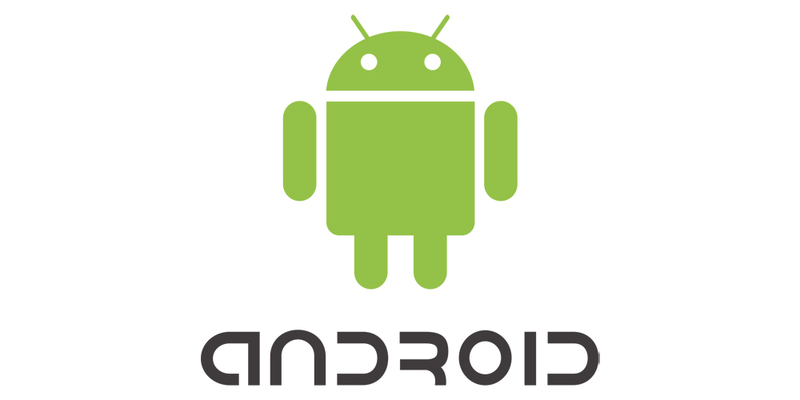 Android and Linux users can install their VPN service using an APK file or a special version for OpenELEC Linux distributions. PIA can also be installed on the Fire TV Stick by using their own APK, similar to the one for Android. PIA offers a 7-day money-back guarantee and pricing begins at $6.95 monthly—super cheap for what you get! Coming in slightly more expensive than NordVPN, ExpressVPN is super easy to use with Kodi. It can be natively installed to both Android and Fire TV Stick with their native apps and for Linux users, it’s simply a case of installing OpenVPN and importing some server settings. There is a guide for this through their setup page. If complete protection of your identity and information is what you’re after, along with the bonus of unblocking regional content, ExpressVPN is the way to go.